inflation, now pays the equivalent of $50. postponed the poll three times. newspapers beseeching Babangida to remain in charge for the nation's sake. the National Republican Convention, enjoy cordial ties to the military. in power till "the year 2000." has dabbled in state politics, has little name recognition nationally. fact the figure is fewer than 90 million. and schools both north and south, and his stable of newspapers and magazines. not a northerner, he is a Muslim, and the north is heavily Muslim. succeeded to an old hereditary title. persuade them to see him for what he is. "I bought 10,000 hectares here. I have given scholarships all over the north,"
be welcomed in every village in Nigeria. I am one of you, isn't that right?" Earlier, Abiola met with members of his Yoruba tribe, resettled in the north. missing a beat, he led all in the Lord's Prayer. "Kashimawo," Yoruba for "Let us see if this one survives." responsible for Africa and the Middle East. he work with such men? selling him a hefty stake in the local subsidiary, he said. sorghum farm; a publishing house; and an airline. various other dealings have raised concerns, diplomats in West Africa said. Nigeria's $27 billion foreign debt, saying he would renegotiate lower payments. The debt, along with drugs, is a major irritant in U.S.-Nigerian ties. Africa and overseas blacks be paid reparations for 400 years of the slave trade. head of its slavery-reparations commission. 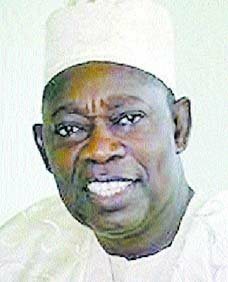 Abiola has promised dual Nigerian citizenship for any black who wants it.